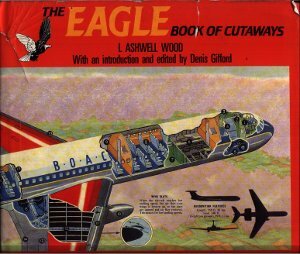 Eagle Book of Cutaways is a celebration of the work of the late Leslie Ashwell Wood covering a variety of the cutaway drawings from the Eagle Comic from 1952 through to the early 1960's. The artist's view of the future was optimistic, predicting all manner of atomic powered craft. Even Dan Dare's Spaceship, the Anastasia, is revealed in detail. Dimensions : 26.5cm x 23m with 96 pages. Note: the 1946 year date in the above list is how the book is printed, both in the contents list and on the drawing itself.